Many know about conventional table fans with blades.But this fan is quite different from this. This fan is blade less fan which uses an airfoil shaped ramp to amplify the airflow to create a cool blast of smooth air without the unpleasant buffeting caused by spinning blades. There are many advantages without blades. 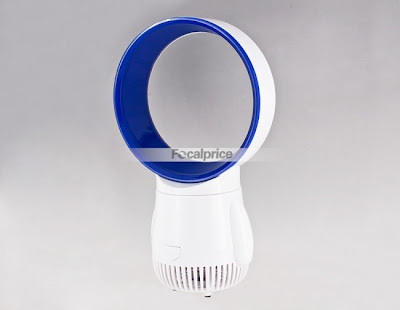 Its safe and easy to clean.It comes with mini USB port for power and consumes half energy as a conventional fan.